The sources of domestic conflict in the region can be found in inequitable socioeconomic systems and weak political systems that persist in many countries. 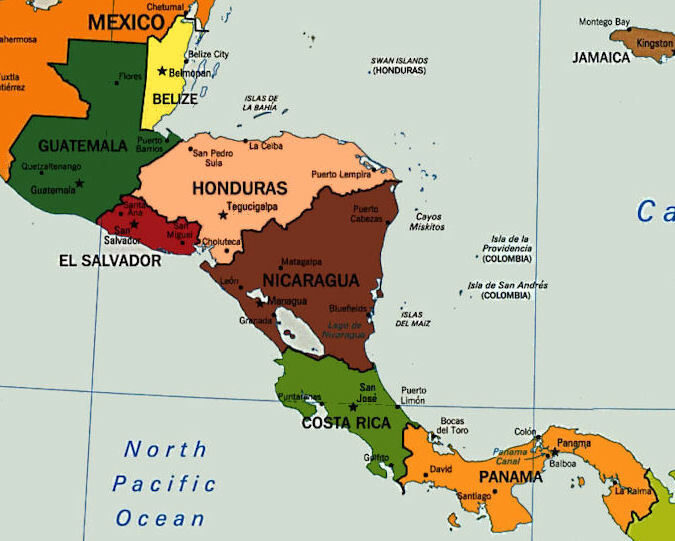 US interests in Central America are modest. The Central American nations do not possess raw materials or economic investments that are critical to the United States. The region assumed strategic importance, however, when viewed from a broader perspective that takes into account two factors. 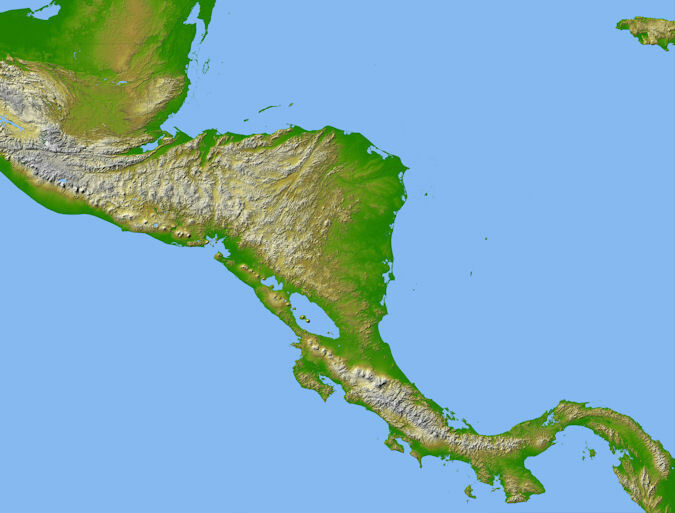 Central America forms an integral part of the larger Caribbean Basin, where developments are easily transmitted from nation to nation. European powers, and later the Soviet Union and its allies, sought to exploit "targets of opportunity" along the southern perimeters of the United States. Adverse regional trends could erode the global position of the United States, especially if conditions in Central America should deteriorate to the point where the Soviet Union gained a military position in the region or the United States has to divert its military power to intervene. Victorious guerrilla leaders could call for a protracted war to "liberate" all of Central America. Such a war would generate a refugee problem for the United States. US Secretary of Homeland Security Kirstjen M. Nielsen traveled to Tegucigalpa, Honduras 28 March 2019 where she met with security ministers representing the countries of Guatemala, Honduras, and El Salvador. The multilateral discussions marked the continuation of a multi-year diplomatic process and the signing of a historic Memorandum of Cooperation (MOC) on border security cooperation in Central America. Secretary Nielsen expressed her gratitude for the continued collaboration and partnership of the Central American nations as they work to stem the flood of irregular migration and develop regional approach to addressing the ongoing humanitarian and security emergency at the USA's Southern Border. As the top homeland security official in the U.S. prepared to announce the signing of the multinational security agreement with several Latin American countries, capping a years long diplomatic process, U.S. President Donald Trump accused those same countries of "doing nothing." The Trump administration on 31 March 2019 demanded that Mexico and three Central American countries curb the surge of thousands of undocumented migrants heading to the United States. The Trump administration on Sunday demanded that Mexico and three Central American countries curb the surge of thousands of undocumented migrants heading to the United States. He left open the distinct possibility that President Donald Trump would close the U.S. border with Mexico in the coming days, even as he says he intends to cut off about $500 million in U.S. aid to the three Northern Triangle countries. Mulvaney said if the three Central American countries do not curb migration to the U.S., "there's little reason to continue sending them money." Congressional action would be needed to cut off aid to the three countries. New Jersey Senator Bob Menendez, the top Democrat on the Senate Foreign Relations Committee, called Trump's order a "reckless announcement" and urged Democrats and Republicans alike to reject it. Rep. Joaquin Castro, a Texas Democrat and chairman of the Hispanic Caucus, warned in a statement released 30 March 2019 that cutting off aid will further destabilize the Northern Triangle countries. "By cutting off desperately needed aid, the administration will deprive El Salvador, Guatemala and Honduras of critical funds that help stabilize these countries by curbing migration push factors such as violence, gangs, poverty and insecurity. Ultimately, this short-sighted and flawed decision lays the groundwork for the humanitarian crisis at our border to escalate further,” he said.